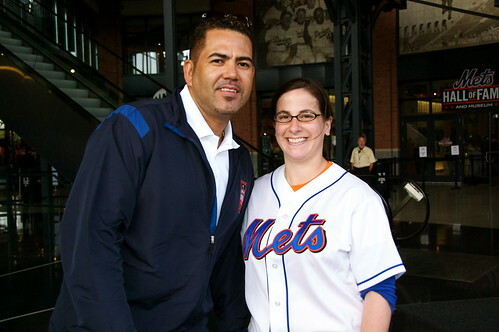 Until I write a full post about the Mets/Dodgers game from Friday, I wanted to get the pictures of Mets Alumni posted. Most of the pictures were taken on my iPhone by kind people standing nearby. 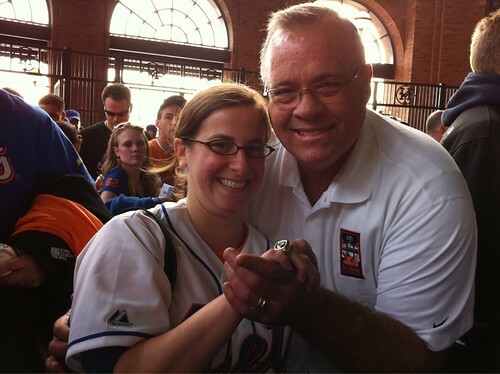 Each of the guys were very nice and very social, especially Ed Hearn who was letting people wear his World Series ring. From top to bottom: Ed Hearn, Kevin Elster, Edgardo Alfonzo, George Foster and George “The Stork” Theodore. A few more pictures are in my Flickr set. 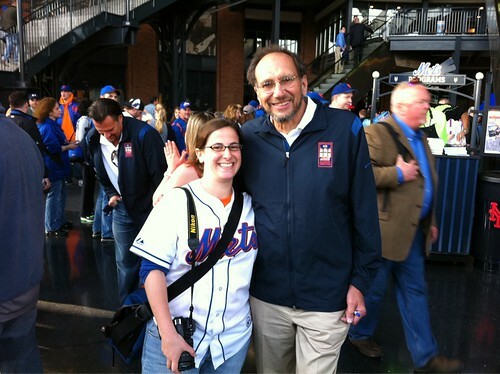 *Elster said this was his first time to Citi Field and was impressed. *George Theodore’s son took the picture for me. 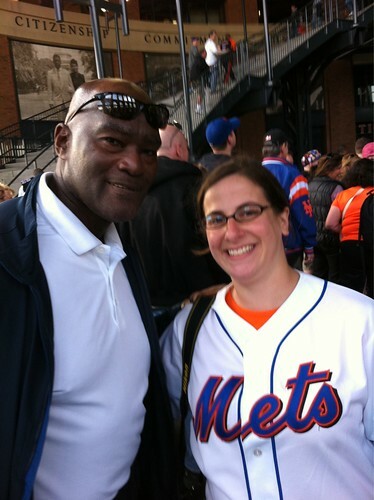 Ron – Thanks for the comments. I have no idea how they choose the alumni to participate in these things, but there are a ton of former players they could choose from, and that I’d love to see.